Le Sac Canvas Two-Tone Tote - Assorted Colors Only $18 Shipped! You are here: Home / Great Deals / Le Sac Canvas Two-Tone Tote – Assorted Colors Only $18 Shipped! Le Sac Canvas Two-Tone Tote – Assorted Colors Only $18 Shipped! Ready for a new spring look? Start with this great canvas bag! 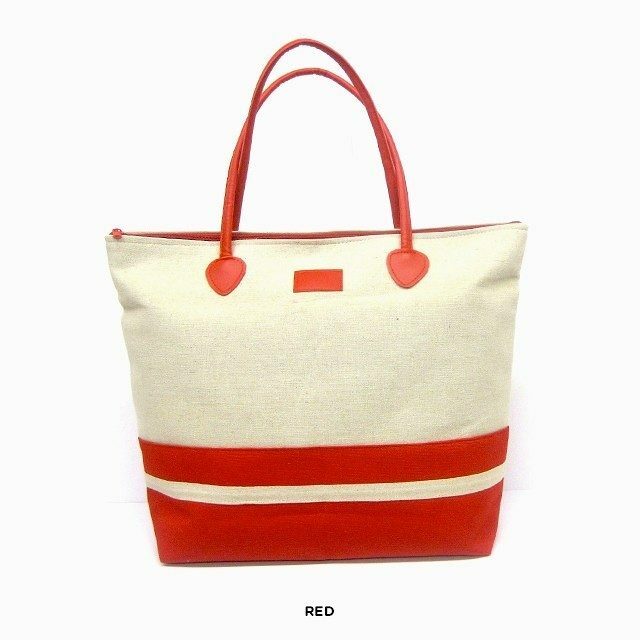 The Le Sac Canvas Two-Tone Tote – Assorted Colors for Only $16 plus $2 flat rate Shipping is fully lined, has 2 inside pockets and is available in Black & Beige, Red & Beige, Navy & Beige, or Brown & Beige!